While online shopping offers unmatched convenience, an astounding breadth of products, and an almost limitless potential for impulse purchases, the tactile experience of actually seeing, touching, and interacting with a product in store will never be replaced. And for many, nothing beats the instant gratification of being able to purchase and use a product right away. But because of its many advantages and our increasingly online way of life, e-commerce is firmly entrenched and will only continue to grow. The most successful retailers are able to capitalize on both experiences and meld them seamlessly to provide a more satisfying customer experience while complementing rather than cannibalizing their sales. You, too, can do online and offline business better—and do them together—by asking yourself 5 important questions. Do your online and physical stores match? It may sound obvious, but you’d be surprised at how many don’t. Ensure branding, messaging, product offerings, prices, and promotions are consistent across both channels for a more cohesive customer experience that encourages spending. Collaborate and coordinate with your e-commerce team to deliver a consistent look, feel, and overall shopping experience. The same logos, colors, themes, featured products, and branding language should be found in both places to emphasize your position as a legitimate and respected product source in your particular market. Are you providing an agreeable—and similar—shopping experience in both places? It’s a no-brainer that the longer people stay in your store or on your site, the more money they’re likely to spend. That means your store, whether online or off, must be easy to navigate while catering to customer needs and wants. Online, that means an attractive yet user-friendly layout; intuitive navigation menus; easy-to-read type in terms of font, color, and size; and enough product promotion but not too much. No one enjoys being bombarded with ads, and having to wade through them can make it difficult for consumers to find what they’re looking for. Memory-intensive sites that take too long to load can frustrate those with limited patience, especially if they’re jumping between multiple product pages while comparison shopping. Likewise, an aesthetically appealing store environment that’s relaxing and inviting encourages customers to linger and make impulse purchases instead of buying just the essentials. Roomy aisles, easily accessible products, suitable music, comfortable seating, appropriate lighting levels in each merchandising area, and relevant product demonstrations can go a long way toward making shopping baskets bigger. 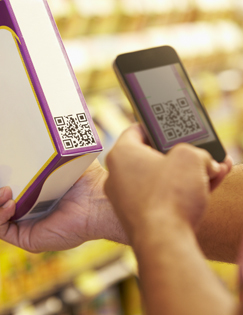 Are you adequately integrating technology in your stores? While budgetary constraints may determine how high-tech you can get, every effort should be made to bring e-commerce elements into your brick-and-mortar stores. Hybrid shoppers—those who research online before coming into the store or even while at the store—increasingly demand that information be at their fingertips, whether it’s via mobile apps, mobile-compatible websites, in-store digital kiosks, or social media. Resist the wave of the future and you could be left behind. If your demographic skews younger and/or female, this is especially crucial; research shows both groups to be early tech adopters when it comes to retail. By catering to their interests, you can boost your bottom line. An example of something low-cost you can do is feature signage that encourages shoppers to take pictures and post them to social media. The benefits are twofold: By letting “influencer” customers be your brand ambassadors, you’ll leverage their social profiles and networks while potentially drawing in waves of new customers without dropping a ton of cash. Are the benefits of each channel available in both places? While each channel has its pros and cons, the more you can do to offer customers the best of both worlds, the more you can drive sales. In-store digital kiosks are an effective way to blend the two, allowing shoppers to browse the full catalog of available products; compare features, benefits, prices, and product reviews; access promotions, including coupons and personalized offers; locate inventory at other stores; place and track orders; and arrange for delivery to their store of choice—all while still enjoying the physical experience of in-store shopping. This online-style functionality benefits not only the customer but the salesperson as well; information available via kiosks can serve as a kind of “cheat sheet” for sales staff to reference for talking points. That way, they don’t have to know every detail about the full range of products your store offers. Many also capture information about customers that can be used to tailor offers and drive future campaigns. Vulcan Industries can help design and build custom in-store kiosks like these, according to your specific criteria. Are you doing enough to build brand loyalty? Ultimately, brand loyalty is what keeps customers coming back, time and time again, to your brick-and-mortar stores in particular. Focusing too heavily on e-commerce and neglecting your physical stores could be your undoing. Brand loyalists are likely to visit stores on a regular basis. These customers are interested in keeping up with your brand and seeing what’s new, and many are willing to pay full retail price to have what they want right now. With that in mind, you can’t afford to not look fresh, both in terms of your marketing campaigns and your store’s physical appearance. Stores that look run-down, where metal fixtures, wood cabinets, and point-of-purchase (POP) displays look dented, chipped, or otherwise dirty, detract from the overall shopping experience. Vulcan can help reinforce your brand by building custom retail display fixtures that hold up and hold up well, whether you wish to replace existing fixtures or do a complete reset with all-new fixtures in support of new product lines and/or programs. An expert in the field of creative retail display solutions since 1948, Vulcan Industries designs and manufactures custom fixtures for retailers and suppliers of consumer products. Whether you’re building new stores that need retail displays or you’re looking to integrate your online presence into your store’s environment, we’re a full-service provider that does it all, from concept development to execution. We can build and implement digital kiosks and supply you with everything you need, including LCD displays and housing. We also specialize in shelving units, freestanding and wall-mounted merchandising displays, POP displays, and specialty fixtures for a wide range of markets. To benefit from our decades of expertise and globally enhance your brand, contact Vulcan Industries today. This entry was posted in Blog, Uncategorized by viadmin. Bookmark the permalink. Vulcan Industries, custom point of purchase displays since 1946.